Update Jan 2015: I have voluntarily removed my app from the app store because this old version (Nov 2013) has been made out of date by IOS7. It requires full reprogramming to become compatible, something I plan to do within the next 6 months, when I will also enhance the experience with new content, audio, and higher resolution photos. Until then, this content is available as a Kindle e-book. If there is one museum in the world that is worth spending a lot of time in, it’s the Uffizi. Unfortunately, it’s not a museum that loves visitors, and that visitors love. It’s big, uncomfortable, crowded, has long lines, lacks seating, natural light, wifi, airconditioning, well-placed bathrooms, a good cafè, a map, proper labeling and well, everything that makes a good museum… good. Except the art, which it has, and it’s great. It’s a museum that desperately needs a guide. If you don’t have someone who knows their stuff take you through there the first time, you’re not coming out happy. I took it upon myself to write that guide. 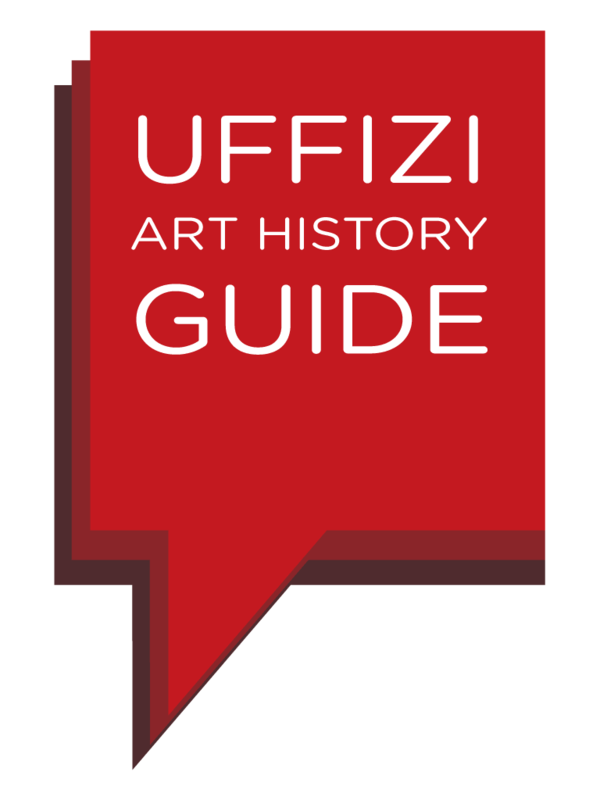 My Uffizi Art History Guide is an IOS app for iPhone and iPad, and a Kindle ebook that can be read on any device (including Android) using the free Kindle reader. If I cannot personally accompany you through the museum, this is the closest I can get to helping you understand the works of art in this important museum. And I want to do that because I’m convinced you’re going to come out a more fulfilled person. That pretty much sums up why I wrote this guide. Now, what can you expect if you buy it, and how does it work? Well for one, it’s nothing fancy. There’s a simple room by room menu that corresponds to the room numbers inside the museum. When you tap on the room number, a page opens up with plenty of text and usually one photo. In the most concise possible way, I have written what is most important to look at in this room, and why. In order to help you learn how to look at art like a true pro, when possible I ask questions that lead you to finding your own answers before I provide them. This is an old teaching trick, but it’s so much more valuable than just “talking at” a person. If you start asking yourself similar questions, you’ll be well positioned to deal with other museums when you visit them. The simplicity of this guide is in part a necessity. I did not hire a programmer, collaborate with an app publisher, or use one of those instant online app creator programs. No. This past summer, my husband and I decided to learn how to program an app using xcode, the development environment provided by Apple. As this ended up requiring more writing of lines of code than I could handle, in the end Tommaso learned to code following the excellent tutorials on Appcoda, and I did some judicious cutting and pasting whenever possible. So, this is a 100% made in Florence, home-made production. Surprisingly, it works. A note on the content and editing. I wanted to be sure that the information contained in the guide is totally clear, both to an expert and to a non expert public. My husband, being an engineer, was a good first test rat. But then I had it edited by two friends. One is a professor of womens’ studies, Sara Matthews Grieco, who was on my PhD dissertation committee and is one of the best editors I have ever encountered. The other was Hasan Niyazi, art history blogger extraordinaire and a great fan of Raphael. Hasan didn’t like that I didn’t make much room for Raphael in the guide, so I had him write that part. This app is dedicated to the memory of Hasan. Future releases of this app are likely to first provide other languages, starting with Italian, and hopefully later include an audio version of the text, so you can spend more time looking at the art, rather than down at your screen. But I’m convinced that this is a good start, and I hope you will agree. If you have feedback about the app’s text, please let me know so I can improve it next time. And please leave reviews if you buy it on the App store, so that more people will find and buy it, and visit the Uffizi and come out happy and fulfilled. 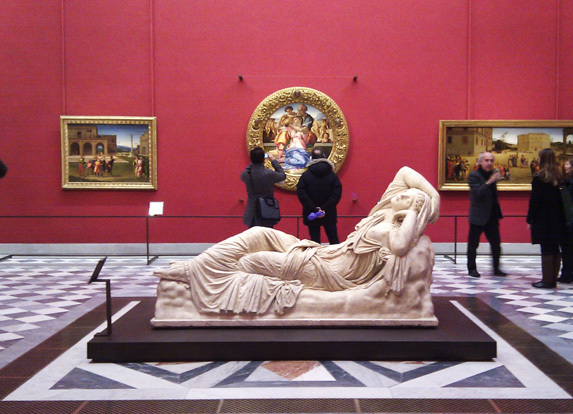 Before you head to the Uffizi with my app you’re going to need to book Uffizi tickets online. I recommend booking online on Musement where you can skip the line and sometimes even get 30% off!